For now, there are trillion galaxies to be observed. These galaxies are classified into the spiral galaxy, elliptical galaxy, and irregular galaxy by their morphology. 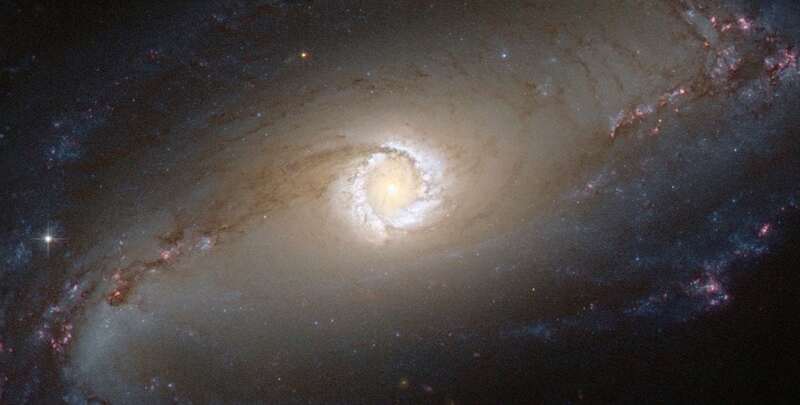 Spiral galaxies usually have a spiral arm and a disk while elliptical galaxies only have prominent bulge without a disk. Elliptical galaxies and spiral galaxies might be related to galaxy evolution. Elliptical galaxies have elder stellar populations while spiral galaxies have younger stellar populations. This means that elliptical galaxies and spiral galaxies might be at different evolution stages. However, among these galaxies, there are a few galaxies showing strong activities in their galaxy nuclei. These galaxies are called Active galactic nucleus (AGN). An AGN is believed to consist of a supermassive black hole with an accretion disk embedded in an opaque torus of dust. One type AGN is called Seyfert galaxies which were some spiral galaxies with bright central nuclei and their nuclei showed strong emission lines in optical spectra. The Seyfert galaxies have several subclasses and the Seyfert 1 galaxies and Seyfert 2 galaxies can be explained by the transitional unification model. From the unification model, the basic concept is that the different types AGNs are intrinsic the same and the differences are caused by different viewing angles. For example, the Seyfert 1 galaxies are observed face-on relative to the accretion disk and torus whereas the Seyfert 2 galaxies are observed edge-on. From the transitional unification model, the difference between the Seyfert 1 and the Seyfert 2 galaxies is related to the viewing angle. If different types of the Seyfert galaxies are merely due to different viewing angles relative to torus as suggested by the unification model, the host galaxy morphology of the Seyfert 1 and the Seyfert 2 galaxies should be the same. Therefore, we want to understand whether the different types of the Seyfert galaxies are related to their host galaxies, we study the host galaxy morphology distributions of the Seyfert galaxies. We used a parameter as host galaxy morphology indicator and the parameter is to describe the bulge fraction in the host galaxy of the Seyfert galaxies. A galaxy with large bulge fraction is usually an elliptical galaxy and a galaxy with small bulge fraction is usually a spiral galaxy. From our results, we find that the Seyfert 1 and Seyfert 2 galaxies show different host galaxy morphology distributions. The host galaxies of the Seyfert 1 galaxies are more bulge-dominated than those of the Seyfert 2 galaxies. In other words, the host galaxies of the Seyfert 1 galaxies are more likely to be elliptical galaxies and those of the Seyfert 2 galaxies are more likely to be spiral galaxies. Our results can not be explained by the traditional unification model. These results indicate that the differences between the Seyfert 1 and the Seyfert 2 galaxies not only depend on viewing angles relative to torus but also might be related to their host galaxy morphologies. The properties of the host galaxies of the AGNs need to be taken into account in an AGN unification model. These findings are described in the article entitled Morphology of Seyfert galaxies, published in the journal Astrophysics and Space Science. This work was led by Yen-Chen Chen from National Central University in Chung-Li, Taiwan. Yen-Chen Chen is a researcher affiliated with National Central University in Chung-Li, Tawain. Their research focuses mainly on galaxy formation, structure, and composition.